Here is a great article from 2001. Where is this great speedway? I saw photo's of them breaking the earth with their shovels. NIAGARA FALLS, ON - A powerful group of Canadian business and political leaders gathered in Niagara Falls, Ontario on Thursday morning to announce the planned development of a major motorsports and entertainment complex on the edge of the world-famous Canadian border town. Niagara Falls International Speedway (NFIS) will be a $120 million, 60,000 seat (expandable to 150,000) facility, which will eventually house a 1.5-mile superspeedway, in addition to as many as three other ovals. Canada's biggest, permanent oval track will be constructed upon completion of a quarter-mile drag strip on the 470 acre site. IHRA President Bill Bader was at the press conference and confirmed his long-term support of the facility by announcing the track's inclusion on his 2001 IHRA National event schedule. Also on hand for the major announcement was CASCAR President Bill Darmon, who has been quietly involved in planning discussions regarding the project for several months. Wielding a shovel with a checkered flag painted on its head, Darmon represented CASCAR at the ceremonial 'ground breaking' for what will undoubtedly become the jewel of Canadian motorsports. Held under a tent on the sprawling site adjacent to the Queen Elizabeth Way (QEW), just three kilometers from the Canada/US border, Darmon stood alongside the many assembled dignitaries who collectively painted an impressive picture of what will rise on the site in the upcoming months. Senator Trevor Eyton - the Chairman of Canada's Sports Hall of Fame and the Director of Toronto's 2008 Olympic bid - is the Chairman and CEO of NFIS Inc. and leads the consortium of private investors who will fund the development. The complex will be built on land owned by Niagara Falls businessman, and NFIS President, Joseph Zawadski. They were joined in making the announcement by Ontario's Tourism Minister Cam Jackson, who said the project will be a boon to the local community and will create many jobs and generate significant tourism revenues. Niagara Falls Mayor Wayne Thomson confirmed the support of the local politicians and the region's business community. For his part, Bill Darmon said he was honoured to be part of the ceremony announcing the new maga-project. "CASCAR has done so many things to raise its profile in recent months that we really need to have showcase facilities, like this one will be, to continue to grow. This fits in with the aggressive expansion program we've undertaken. Canadian motorsports needs a major league racing facility on this scale. We're 100% supportive of the efforts being undertaken to make this project become a reality. This is an unbelievably exciting venture and we're very happy to be part of it." Also involved in the project is Canadian Phil Denyes, who spearheaded the creation of NASCAR's Daytona USA exhibit in Daytona Beach, FL as well at Toronto's new Hockey Hall of Fame. In addition to the drag strip and several ovals to be built, the site will also include a conference centre, a midway, hotels, theme restaurants and concert facilities. Re: CASCAR part of launch of Niagara Falls Int'l Speedway? Have some photos with the guys putting shovels in the dirt. I wounder what they did with the shovels. Maybe they are pooper scoopers for the pets now. "The International Stockcar Alliance (ISA) announced today that 2002 NASCAR Winston Cup champion Tony Stewart will race in four events in the 2003 ISA Exide Racing Series. Stewart will be one of several Winston Cup veterans to take part in four ISA events for 2003. These include two events at the new Kawartha Superspeedway at Frasierville, Ontario, one being the Canada Day Million Dollar Shootout scheduled for June 28-29, 2003. Stewart will also race at Sanair Superspeedway near Montreal on June 3, 2003, and at Calgary's Race City on August 5, 2003. Other Winston Cup drivers scheduled to race at the new Kawartha track include Dave Blaney, Kurt Busch, Jeff Green, Kevin Harvick, and Matt Kenseth. They will compete in the ISA's Canada Day Million Dollar Shootout, as well as the event scheduled for September 9, 2003. These two events are part of the SA's "Super 6" which will showcase top racing personalities at selected venues across Canada. The ISA is presently negotiating with other Winston Cup drivers to compete in selected 2003 ISA Exide Racing Series events. In related news, the ISA announced that tickets for four of its ISA 2003 Exide Racing Series are now on sale, and may be purchased through a user-friendly system on the ISA website, www.isaracing.com, or by calling 1-866-ISA-TICS." I know some drivers that lost cars in the ISA deal. Boy that was funny and not so funny for some. I think I still have the ISA shirt and Media Package lying around. I still have a notepad, a pen.... and a roll of ISA toilet paper, with the words "Time to clean up the mess" written under the logo on every square. You're right. Funny in some ways, not funny in many others. Okay so everyone heard of the ISA deal and all of its promotional news. Was it a real deal or a scam ?...really and don't bash it, just facts. Why did it fail and who sailed the ship out to sea? Niagara Falls has been the focus for many racing series and investment groups like the Speedway Group, Nascar and the IRL to name a few. If it's such a hot spot, then why are we not there yet ?? OK I was backing this and we were promissed a ton of things from the owner of the ISA Mitch. I think it was a scam right from the beginning as Toyota had no clue of these cars. This scam took a couple of drivers for some race cars. Mitch Pulled of one good race at Cayuga and he seemed to have connections. So I think that is why many people believed in this ISA but the truth is they really want to believe as CASCAR was struggling and this series promissed a lot more on paper but as it turns out ISA was just a bunch of papers that meant nothing. This I bet still leave a sour taste in peoples mouth. I beleve the man behind it might have also been the guy behind The Canada Day CASCAR shootout run at Caugua. The first year they had A-class Nascar drivers, Stewart and Kenteth. Now what interesting to remeber was that it packed Cauguga, so thats about 5,000 people (maybe 10,000 at best? I remeber empty seats on the back straight), but it was easy to get a ticket. Therefor this promoter had the knowlege that having a few NASCAR drivers, will bring in far less that 60,000 fans, needed to pack one of these super speedways. On top of coming up with a field of cars, they were promising a 1 million prize for the winner. The Winston Million was a big special even for CUP, to think that they could come up with that sort of money for anything other than a cup race is silly. I have to admit I got caught up in the hype and figured I would take a chance at losing some money instead of missing out. I bought a s**t load of tickets then...the bottom fell out. Thank God I used my credit card and got my money back. I do however know a couple people who invested heavily in this and they got screwed royaly. From what I understand there was alot of prep to this setup, going to Busch races, Winston Cup connections or perceived connections etc. Alot of people lost alot of money. I think Mitch is sitting pretty somewhere. He took CASCAR for a ride as well. He said he had 100 sponsors to sponsor CASCAR drivers and then later we found out he had a list of 100 potential sponsors and then we found out he did nothing but take the money and run. I think in the ISA deal Mitch did all the talking and others ran around promoting it for him, while he sent out some bogus press releases and a few pictures of a some frames in a body shop at some top secret location. A lot of people lost and Mitch slipped out into the night. Has anyone heard his name since that ISA scam? Maybe he got away with enough cash to live good life style. Maybe he changed his name and he is working on new scams who knows. Which one is a Jag? 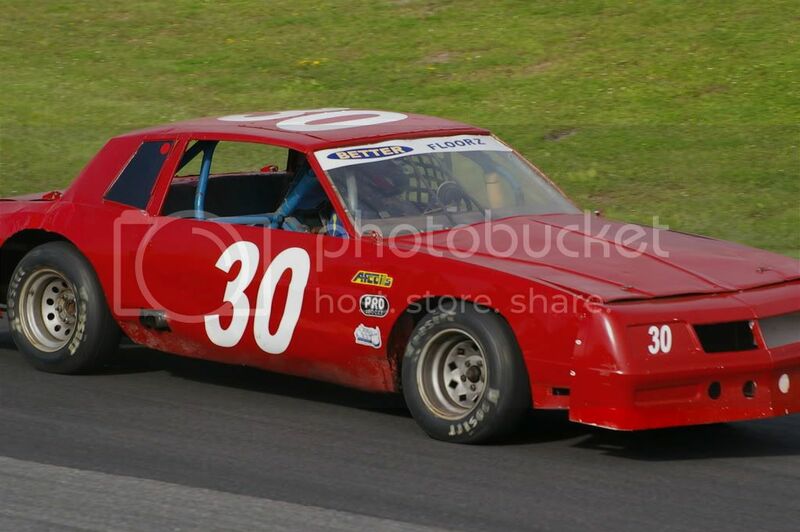 Which would have been the first Toyota Camry stock car?